Roo is around the same age as I would have been when Disneyland Paris first opened back on the 12th April 1992. Whilst we didn’t have social media or access to the internet, I do remember seeing the opening of the park on the six o’clock news. The splendor of the opening and seeing all my favourite Disney characters on screen I knew that one day I would love to visit the park. Throughout my childhood, I have read the stories, watched the films and enjoyed the animations of Disney. There is something about Disney that appeals to all, no matter how young or old you may be, you can be captured by the magical, the wonder and the delight of it all. 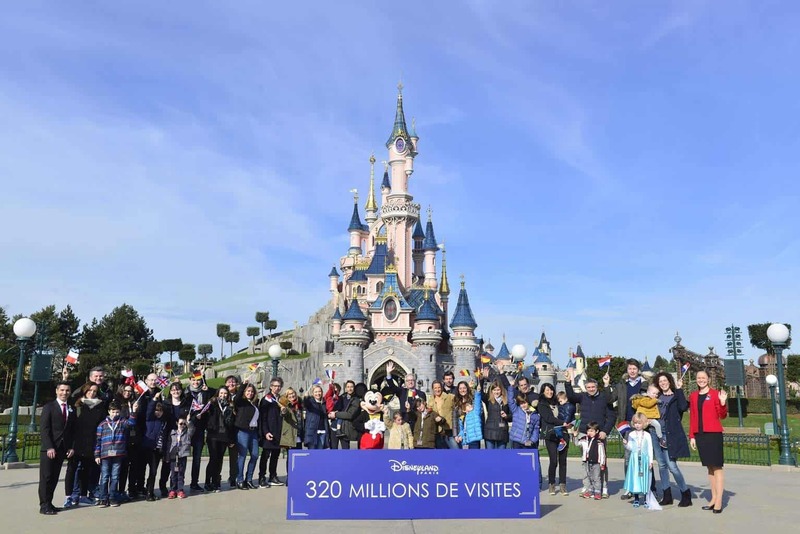 This year Disneyland Paris celebrates their 25th anniversary and to mark the occasion they invited one family from each of the European countries to visit the park and join in with the celebrations. I’m extremely proud and honoured to say that we were asked to represent the United Kingdom. 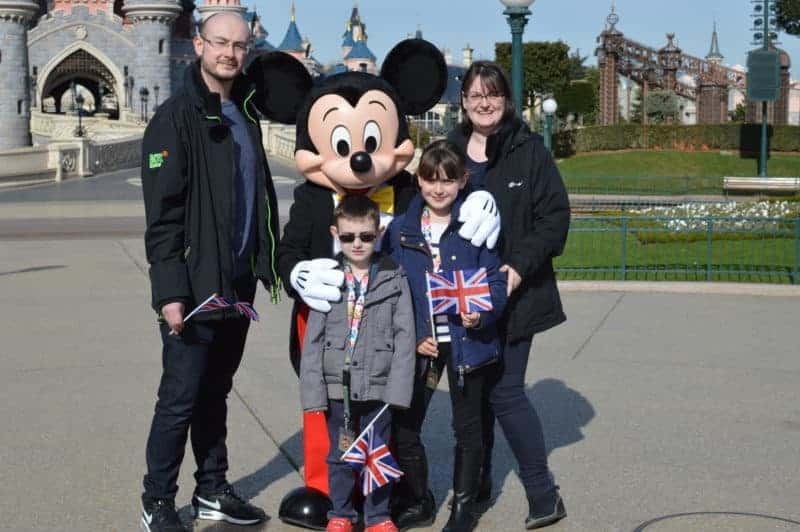 With us ensuring our passports were in order, bags were packed and hopped onboard the Eurostar at Ebbsfleet to take the two and a half hour trip over to Disneyland Paris. With cloudy skies the day before, I don’t think anyone would have thought that we would have had the perfect blue skies for the official photos. Armed with our countries flags we stood in front of the famous Sleeping Beauty’s Castle, alongside Mickey Mouse and the Vice-President of Disneyland Paris and waved as we celebrated their milestone. Piglet decided that the festivities were all too much for her and managed to sleep through the entire event. So whilst she was sleeping we had the opportunity to chat with the Vice-President, who commented that we had brought the good weather from London with us. Before Roo and Tigger were presented with special lanyards to go with their plush Minnie Mouse characters that had been waiting for them at the Newport Bay Club Hotel. With the official celebrations over it was time for us to head out into Disneyland Paris to see for ourselves why the park is so loved. Guided by one of the Disney VIP Guest Guides, Rachel, we were shown all that Disneyland has to offer. 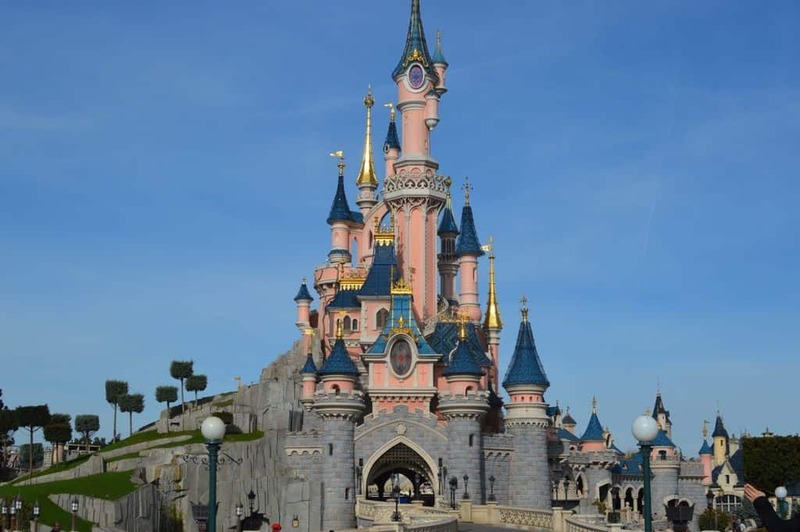 From fun to thrill seeking rides, parades, meet and greet characters and the beautiful (and very detailed) sights that make up Disneyland Paris. Walking around the different areas with the park it is difficult to select which is your favourite. With each one hosting a selection of rides, meet and greets, shops and so much scenery to take in that you could easily lose a few hours in each area. We managed to take over 1000 photos in three days so you can just imagine how much there is for you to taken in. 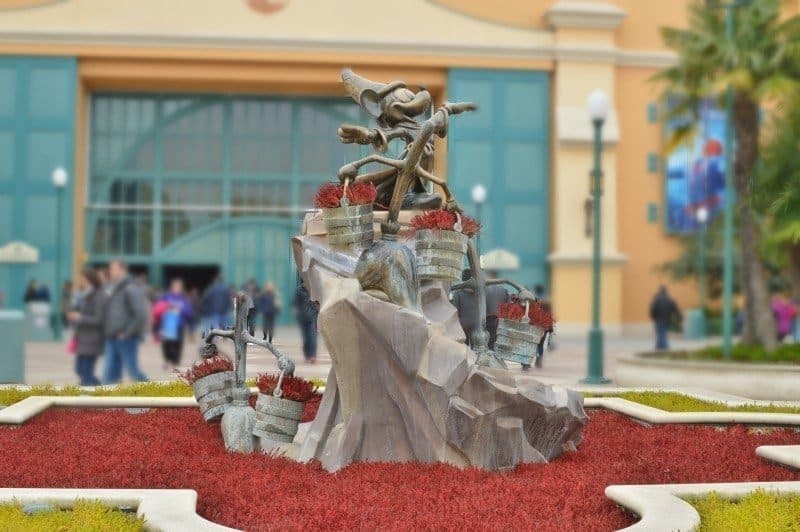 Alongside the classic Disney Princess, Peter Pan, Alice in Wonderland action within Disneyland Paris you are also able to access the Walt Disney Studios. Housing shows, parades, thrill seeking rides along with sets and props from Disney collaborative movies. This year sees Star Wars making an appearance which Tigger was most excited about. With several shows and parades throughout the day, they are well worth watching if you get the chance. Tigger was especially thrilled to see Chewbacca walk through the crowd and right past him as he made his way up onto the stage. Complete with Disney Pixar’s Toy Story, Ratatouille, Cars and Monsters Inc there were some great opportunities to get up close to those familiar faces and have fun. When I asked friends that had been to Disneyland Paris before about the what things we should ensure we do on our trip. Top of the list was to attend the different Disney parades. Although we had been told how amazing the floats were and just how magical it is to watch the different characters pass you by, nothing prepares you for seeing it with your own eyes. 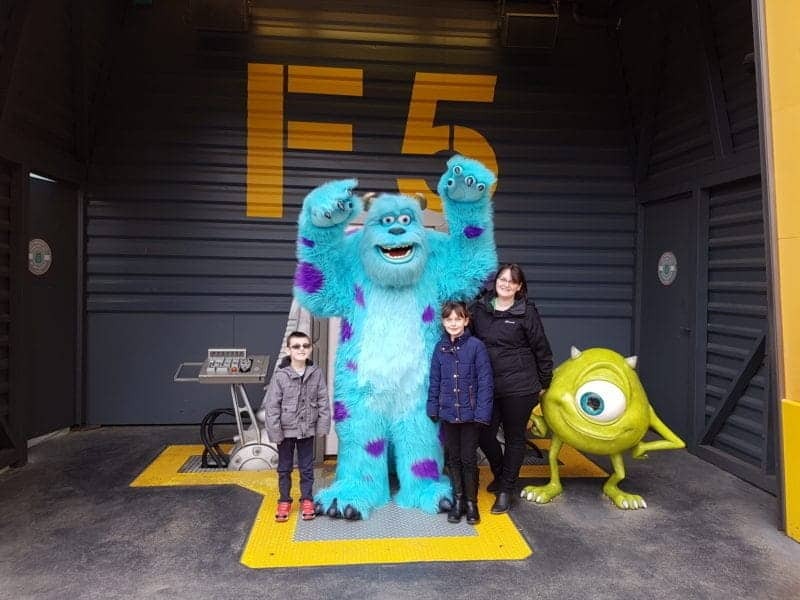 Our very first family trip to Disneyland Paris was beyond magical. It is easy to see why visitors return time and time again to the park with so much to see and do. For each of us, we have all taken something away from the trip. Whether it be the amazing rides, taking in the sights, interaction with the characters and cast members. For me, it has to be getting my photo taken by Boo’s door from Monsters Inc. – I adore the film (hence my nickname). Whilst we were getting a photo of us at the door, we were asked to step aside and I’ll be honest I thought that I wasn’t going to get my long awaited photo. However, suddenly Sulley arrived and we were first in the queue to get photos – to say that I was excited is somewhat of an understatement! A big thank you to Disneyland Paris for hosting us over the weekend. We have had the most magical time and we will be back to see you soon! Disclosure: We were invited as guests of Disneyland Paris for the 25th Anniversary celebrations. So glad you had such an amazing time, I knew you would love it, and want to return again! Looks like you had an amazing time. I went for the first time about 10 years now, just my husband and I before we were married when we still at university and it was like you said magical! We have a 14 month old little boy and another one due any day now and I can’t wait to take them to Disney in a few years!! We went to DLP in 2015 and enjoyed every moment. I love Disneyland Paris. I can’t wait to go back with the kids. We’ve been to Disneyland Paris a couple of times now, both during March when the weather was pleasant and the crowds bearable. We did end up more tired when we returned than when we left though! Wow fab time or what! We live in Paris and we have still yet to go! But we will get there eventually! Have to say it does look amazing! I can’t believe it’s been open that long, amazing. I remember going there six years ago now. I wasn’t expecting to enjoy it as much as I did, it’s great. I love Disney posts! I have been to Orlando a few times but never to Paris, so I always love seeing other people’s photos. How exciting to be at Disney and be able to be there as special guests! We’re going to Disney World this year with the whole family. I’ve never been to any Disney resort, so I’m so excited. Definitely want to go to DLP, so I’ll be be bookmarking and coming to you again when the time comes! The parades look and sound amazing!